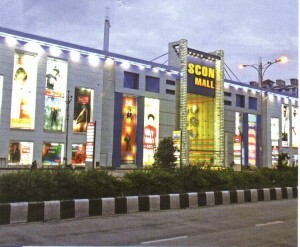 ISCON Mall is the largest mall in South Gujarat located on 150 ft. Dumas road, ISCON Mall has a sprawling 3,00,000 sq. ft. of retail space with a central Atrium of 18,800 sq. ft. which also adds to the beauty of mall. ISCON Malls offers shopping with more than 70 brands for men, women & children along with food court, restaurants & general accessories. With Westside & Pantaloons as anchor stores, shopping under one roof becomes a-must-visit for its customers. Famous brands like Fabindia, Wrangler, Hakoba, Inc.5, Gini & Jony, United Colors of Benetton, Liberty, Arvind etc., make the property a sizzling shopping & premier leisure destination. With facilities like multi level parking, well planned traffic management system & modern looks, the mall stands out as the best in the city of Surat. You can view the complete List of Stores and Shops in ISCON MALL here.